This large structure is comprised of a number of historical structures and was erected on the remnants of a structure from the crusader era. It was built in its current formation in the 18th century and served as the seat of the Ottoman governor. The structure was called Assarayah al Atiqa, and served also as a post office and guard house until the construction of the new governor’s house in the clock tower square. In 1733 part of the building was purchased by the Demiani family, an old and famous Christian family of Jaffa, and converted by them to be used as a soap factory that had great success. 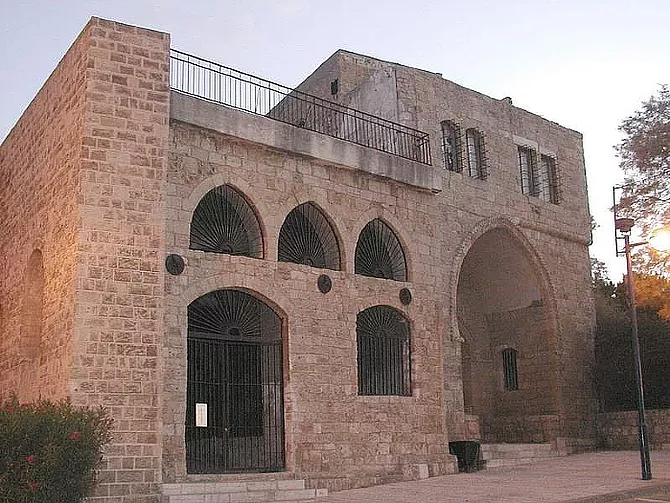 The structure was abandoned during the War of Independence, after which the Jaffa Museum of Antiquities was established in it. In another part of the structure the Arab-Hebrew Theater functions, and its western section is closed and unused.